We provide you with iPhone X manual, tips and trick iPhone XS Max and iPhone X tutorial XR instruction iPhone XS manual. Get iPhone user guide PDF here. iMessage Problem on iPhone X Setup - Some iPhone X users getting problem while activating iMessage or FaceTime, not working properly, activation error, won't activate and more. In this guide iphonexmanualtutorial try to explore the most problems and how to resolve in a litle tips and tricks to set up on the right way. 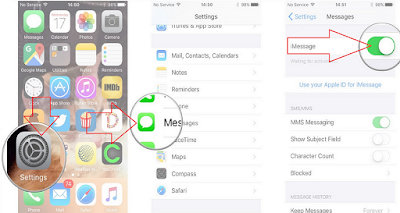 iMessages are texts, photos, or videos that you send to iOS devices and Macs over Wi-Fi or cellular-data networks. 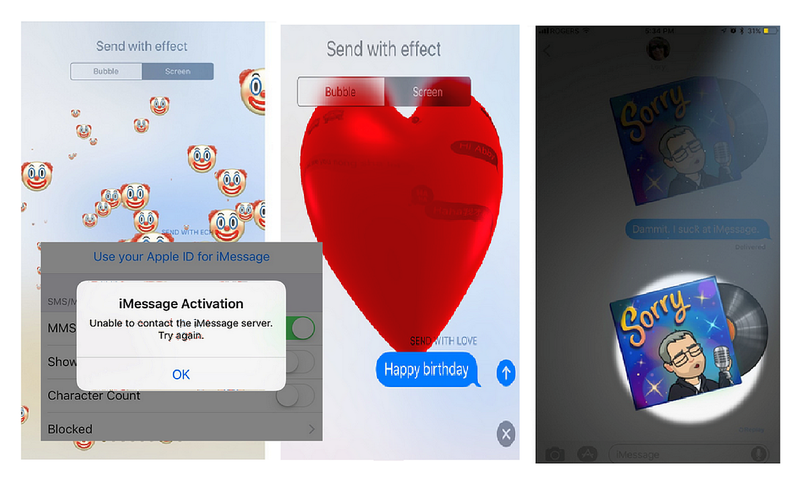 iMessage Bubbles is an animations message effects lets you send text, picture, video, sound, and location quickly and easily to anyone else using iMessage on iPhone, iPad, Mac, or Apple Watch. You can create own message bubbles over the entire screen, emoji, text effect, creations by add a personal touch with a handwritten as a new expressions encrypted and appear in blue text bubbles. Anomated instant messaging by Apple that added significant updates to iMessage in iOS 11, iOS 12 and to the latest iOS. How to turn on iMessage? You can turn on iMessage or turn off iMessage by go to Settings > Messages from your Apple devices. New iPhone X users said that she got iMessage error occurred during activation, could not sign in, and still waiting for activation. Another iPhone X owners fails while setup FaceTime ID and can't sign in to FaceTime. Swipe to open your iPhone X, than go to Settings > Messages and turn off iMessage. Go to Settings > FaceTime and turn off FaceTime. Restart iPhone X or do same for another device. After restart, make sure that you’re connected to a cellular data or Wi-Fi network. 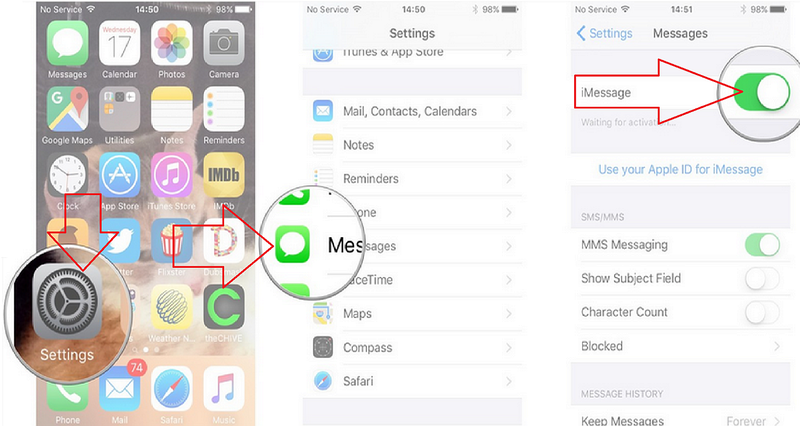 If you're using an iPhone, you need SMS messaging to activate your phone number with iMessage and FaceTime. Depending on your carrier, you might be charged for this SMS. Now you can Turn iMessage on and FaceTime on hope much it working for you. Note: If you can't sign in to iMessage or FaceTime on your Mac because it's not available in all countries or regions. To go to the App Store for iMessage, open the app drawer and tap . Tap next to the app, then tap Install. Enter your Apple ID password. Tap to return to your message. After the app downloads, you can find it in the app drawer. Get an iOS 12 Update here. From the home screen, select the Messages app. Select the New Message icon, Enter a phone number or email address, or select the Add icon to choose a contact. You can send messages to a group or multiple recipients with your iPhone X. Create by type a message, or attach a photo or video by select the Camera icon, select the App Store icon to access App attachments to iMessage, or select the Microphone key to send an audio message. Blue = Send text bubbles button. Green = Send SMS/MMS bubbles. You can sent an animate full screen message with an echo, spotlight, and other effects. Tap write message and enter a contact or go to an existing conversation. Touch and hold send message, then tap Screen. Swipe to the left to see full-screen effects. Tap send message to send. You can personalize your messages by adding a note in your own handwriting. Your friends and family will see the message animate, as if it were being written in front of them. If you have an iPhone, turn it sideways. If you have an iPad, tap on the keyboard. Write your message or select one of the options at the bottom of the screen. If you need to start over, tap Undo or Clear. When you're finished, tap Done. Then tap send message to send. To replay a message effect, tap under the message. You can delete by select desired message(s) then tap Delete icon. Tips: Ensure to delete messages, but if you need to recover deleted message you can restore from a backup. After you delete all message, you can recover by restoring from a message backup. Find me on Facebook, Twitter.